A police dog has been fired from his job because he did not have the intimidating personality needed to carry out his job effectively. 1-year-old Gavel is a German Shepherd who is just too friendly and rolls around with everyone. He would rather roll around and have his belly robbed than stand at attention and look menacing. Because of these attributes, Gavel failed to make the final cut for Queensland Police Service in Australia, despite having a prestigious family bloodline which saw him related to five current working QPS dogs. 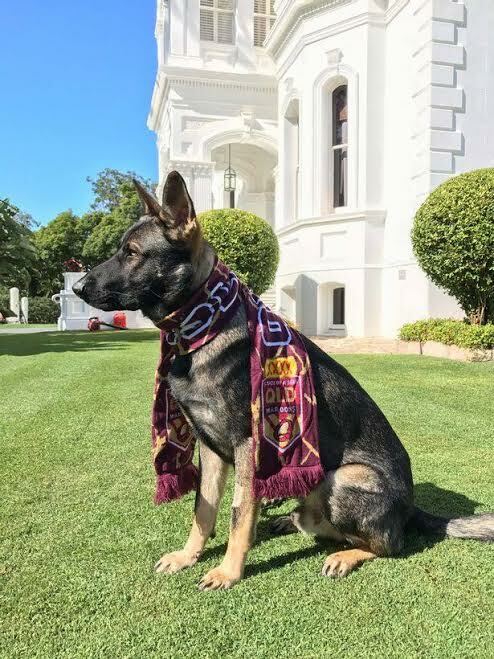 However, he is not totally out of a job as he was offered a new role welcoming visitors to Brisbane's Government House as Governor Paul de Jersey's official Vice-Regal Dog – a job suitable for his personality. Gavel has reportedly struck up quite the bond with Governor de Jersey and the many Australians he greets every day and this has now made him is now a social media star. "Gavel arrived at Government House in April last year as a six-week-old puppy. It was intended that he would undergo a training and socialisation programme preparing to become a Queensland Police Service Dog. 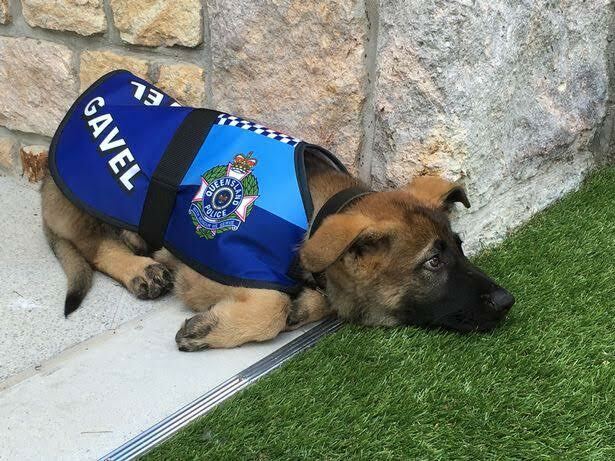 But like many aspiring QPS Dogs, Gavel did not display the necessary aptitude for a life on the front line. Not all dogs display this, and Gavel proved himself to be quite sociable." "He is better suited to life as a ceremonial dog and will instead now spend his working days at Fernberg, where he has become a much-loved part of Government House life." 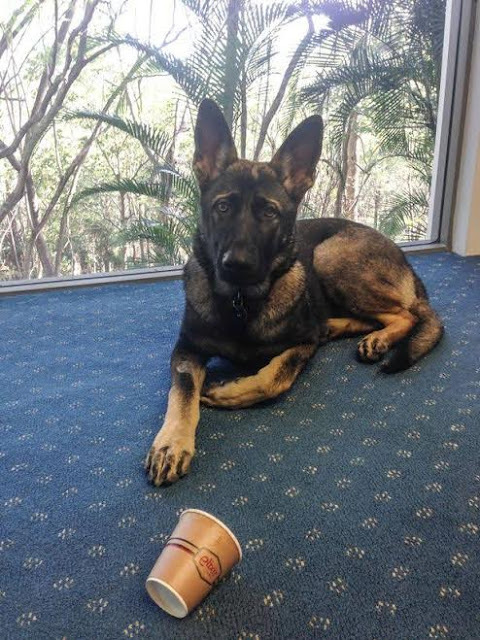 When the dog's service at Queensland Police Service ended earlier this year, staff at Government House couldn't let him go. They created a brand new state position – Vice-Regal Dog – especially for Gavel and gave him the official title Gavel VRD. Now his official state duties include welcoming the building's thousands of callers, attending functions and formal ceremonies with the governor and even sitting in on briefings.